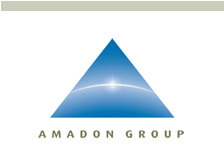 Combining over three decades of development proficiency with the guiding principles of innovation, sustainability, wellness, and value, Amadon Group delivers profitable and successful real estate. Amadon Group places a particular emphasis on strategically located and environmentally advanced projects that espouse Smart Growth, and are driven by our holistic property development principles (see Manifesto). Smart Growth is a collection of urban, environmentally-sensitive land development strategies that preserve and enhance valuable, natural, and cultural resources in order to reduce the sprawl and pollution that are fiscally, environmentally and socially responsible for growing environmental and health concerns. Smart Growth is development that enhances our quality of life, and protects our environment.